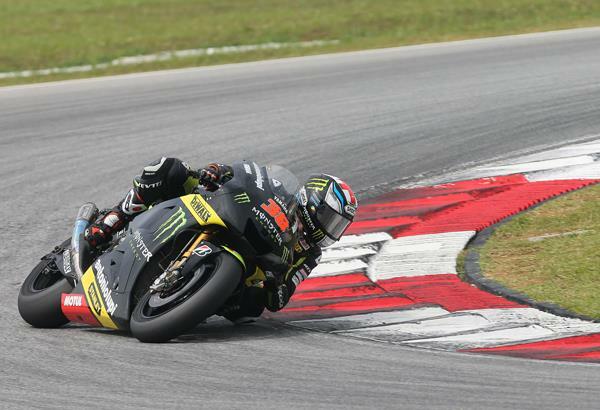 Cal Crutchlow reckons Bradley Smith’s critics have already been proven wrong after the British rookie produced one of the most impressive performances during this week’s Sepang MotoGP test in Malaysia. The Oxfordshire rider finished with the eighth best time and was less than two seconds off the best pace set by Dani Pedrosa on the factory Repsol Honda RC213V. Smith clocked a best time of 2.02.093 on the final day today to finish ahead of all four factory Ducatis. And included in his 48-lap stint today was a fast and consistent full race simulation as he looks to build up his experience of the Yamaha YZR-M1. Smith’s best lap of 2.01.931 on day two meant he was eighth overall on the final leaderboard. Crutchlow, who finished with the fifth best time, was 1.3s clear of his Monster Yamaha Tech 3 teammate, but he hailed the 22-year-old’s impressive performance. Ever since Smith’s move to MotoGP was confirmed back at the Motorland Aragon race in September 2011, he has faced a barrage of criticism that his results in Moto2 weren’t worthy of a prized YZR-M1 seat next to reigning world champion Jorge Lorenzo, Valentino Rossi and Crutchlow. But speaking to MCN in the Sepang paddock today, Crutchlow said: “He has shown 100% that he deserves to be here. I think it is great to come and do a good and consistent job. His times are no further off than the other rookies at their first test and the way he has gone about his business and ridden the bike has been impressive. He has worked hard over the winter months trying to understand the bike and now he has a great crew chief in Guy Coulon and you will see the true potential of Bradley. He has two year’s on the bike and I think he'll come into his own next year." For the exclusive thoughts of Crutchlow and Smith in an 11-page MotoGP test special, see the February 13 issue of Motor Cycle News.